The Battle of Canal du Nord was part of a general Allied offensive against German positions on the Western Front during the Hundred Days Offensive of World War I. The battle took place in the Nord-Pas-de-Calais region of France, along an incomplete portion of the Canal du Nord and on the outskirts of Cambrai between 27 September and 1 October 1918. 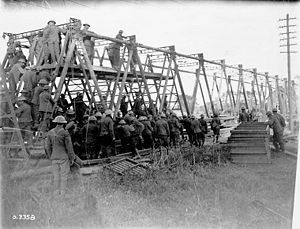 To avoid the risk of having extensive German reserves massed against a single Allied attack, the assault along the Canal du Nord was undertaken as part of a number of closely sequenced Allied attacks at separate points along the Western Front. It began one day after the Meuse-Argonne Offensive, one day before an offensive in the Flanders region of Belgium and two days before the Battle of St. Quentin Canal. War broke out two years later and Horne was appointed to command a force of artillery under General Haig, who commanded I Corps. At the Battle of Mons, Horne distinguished himself with a rearguard action that allowed Haig's I Corps to retreat almost effortlessly; admittedly the German Army made few attacks toward Haig's forces, as they were occupied by Sir Horace Smith-Dorrien's costly defensive action. Horne fought with distinction in the British Expeditionary Force's actions throughout 1914; in October of that year, he was promoted to major general and created a Companion of the Order of the Bath. A few months later, he was given command of the 2nd Division. 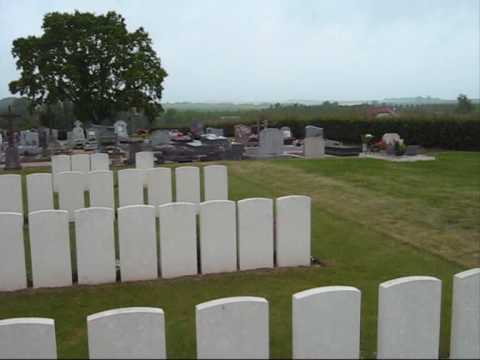 In May 1915, Horne's division participated in the first British night attack of the war, distinguishing itself at the Battle of Festubert, France; the attack faltered, partly because the artillery ran out of ammunition. The media launched vicious attacks on the Secretary of State for War, Lord Kitchener; the blame was eventually laid on General French who was sacked at the year's end. Significantly, the artillery were reorganised after this fiasco at General Horne's suggestion.